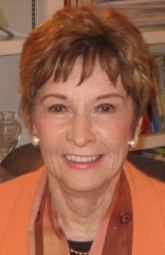 Peggy Papp, LCSW, is a senior faculty member of the Ackerman Institute for the Family. Currently she is the founder and Director of the Project for Adolescents and Their Families.This project has developed a family-based model for treating adolescents focused on bringing about a simultaneous transition in which the adolescent and family change together. Previously, Ms. Papp founded the Gender and Depression Project that was set up to treat depression within the context of the couples relationship, highlighting gender differences as well as biological and interpersonal factors. The Project generated new clinical insights based on the finding that men and women get depressed for different reasons, cope with depressive symptoms differently and are responded to differently by spouses. Ms. Papp is an internationally renowned therapist who is recognized for her many innovative contributions to family therapy including family sculpting and the use of themes and belief systems. She has presented extensively in the United States, Europe, South America, China and Israel. She is the author of numerous articles and books on family therapy including: The Process of Change, considered a classic in the field, co-author of the landmark book, The Invisible Web: Gender Patterns in Family Relationships, and editor of Couples on the Fault Line: New Directions for Therapists. Her publications have been translated into several different languages and she has received many honors and awards for her work. Ms. Papp was the recipient of the American Association for Marriage and Family Therapy’s Lifetime Achievement Award as well as the University of Utah Distinguished Alumni Award. She has been honored by the American Family Therapy Academy for her pioneering work on The Women’s Project for Family Therapy. In addition to her Ackerman affiliation, Ms. Papp has a private practice in family and couples therapy in New York City.